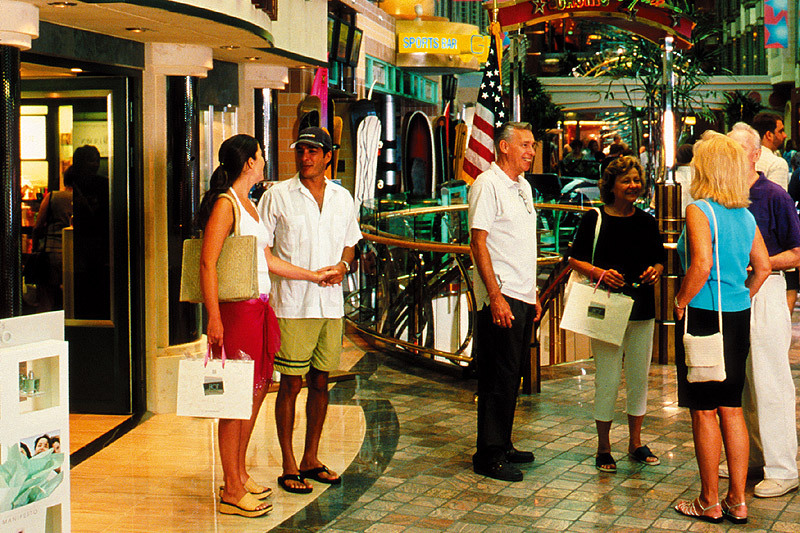 A great range of Adventure of the Seas reviews written by our customers. 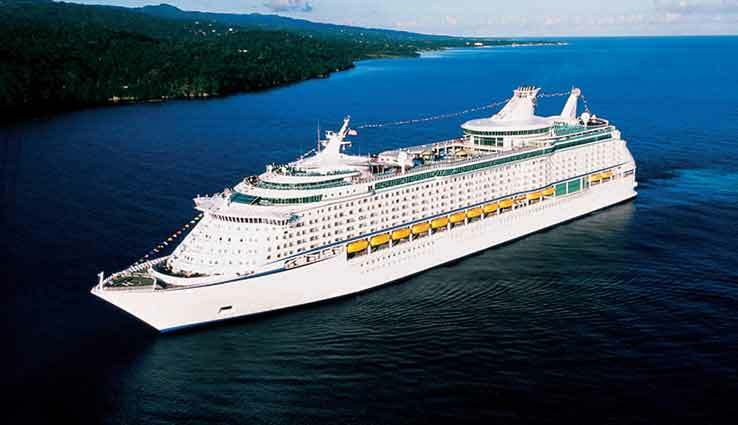 To write your own Adventure of the Seas review click the link on the right. Summary: We, unfortunately, booked a cruise from San Juan around the Caribbean to depart 23rd Sept but was obviously cancelled due to the devastation caused by hurricane Irma and Maria. 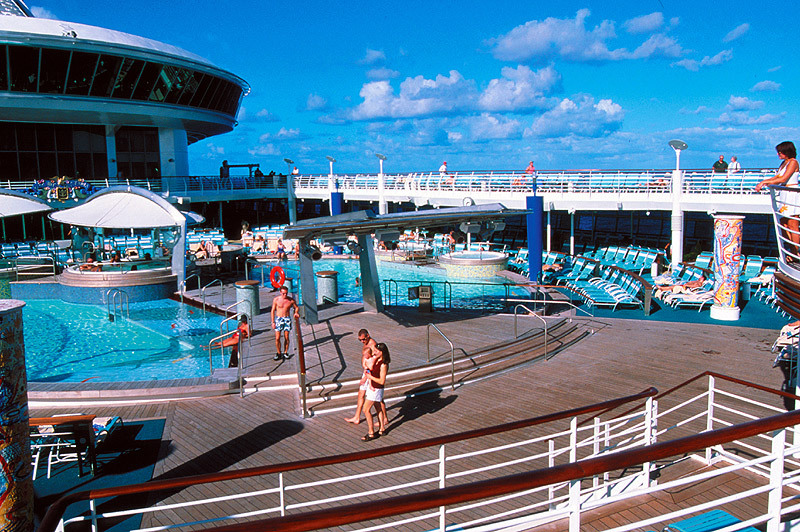 We have used Iglu before and cruised with the Royal Caribbean and have never had any problems. However, it is when things go wrong that you truly feel the quality of the service received by Iglu and Royal Caribbean. 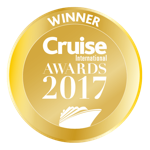 I don't usually write reviews but the support and assistance we received from Danielle, an iglu cruise representative was second to none. We were in our way to Miami before we found out the issues Maria had caused and our flights had been cancelled to San Juan so when we arrived at the hotel in Miami we were natuarally worried and concerned about where this left us with regards to how we would get home etc. However Daniele kept us informed about everything each day and arranged further hotel stays in Miami and organised our flights to her back home. Furthermore, less than a week later we have received a full refund of our cruise including flights etc. This was a stressful and anxious time for us but Danielle made the whole situation much easier. I would highly recommend Iglu cruises to anyone and will continue to use for future cruises. 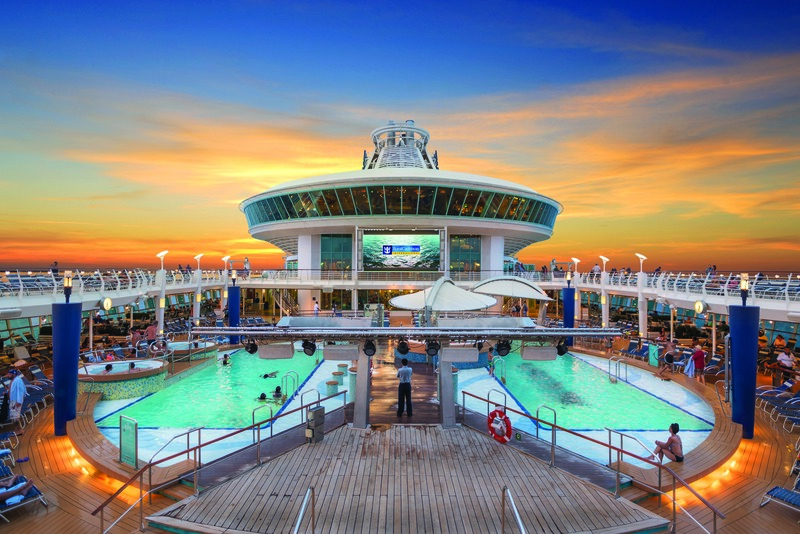 The Royal Caribbean have also quickly issued refund for excursions etc that we prepaid and we love the Royal Caribbean ships so will no doubt be cruising again with them in the future ?? 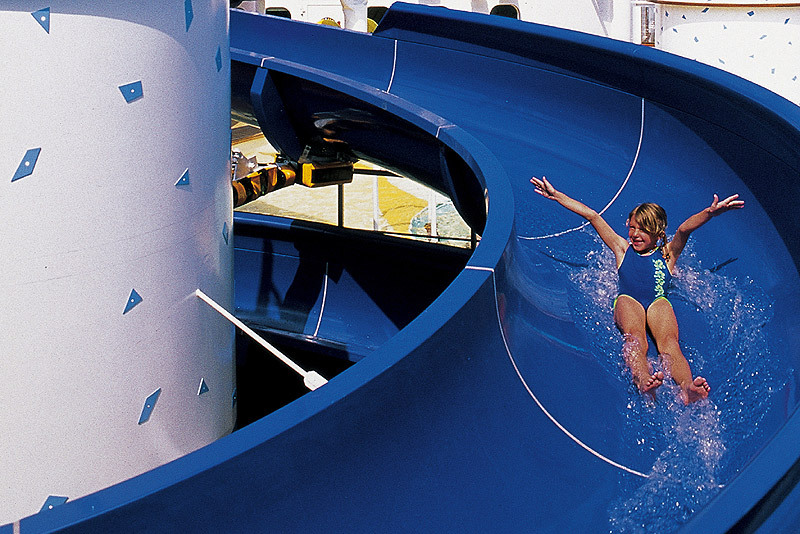 Summary: 7 day Caribbean cruise. San Juan to San Juan. 5 March 16. First, a bit of context. 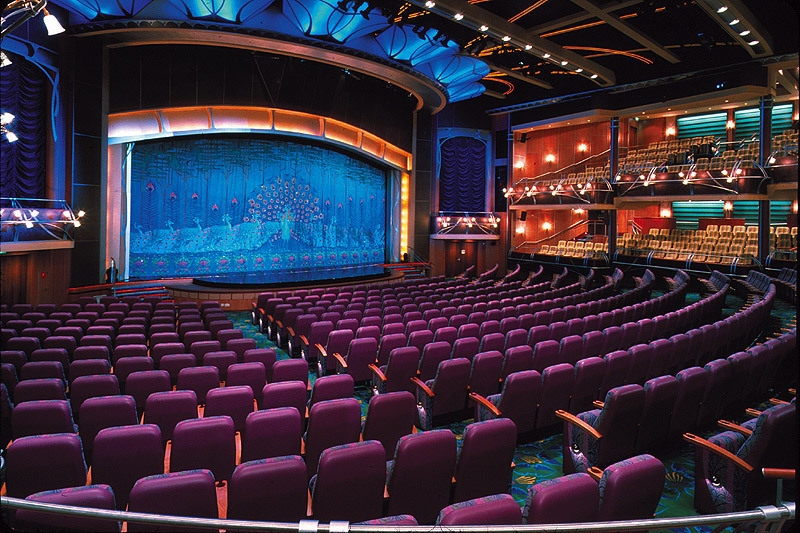 We have cruised 16 times in 5 years and have seen the great and the not so great on the high seas. We like Celebrity and Oceanea; we don’t like FO or Princess and although we have mixed feelings about P&O we are, on the whole, are very fond of their ships. We do not have a predilection for moaning, as life is too short, so read this review in that light. Second, Iglu put together our cruise and hotel stay in very short order and everything that they arranged was top notch from the flight (Norwegian Airlines) to the excellent hotel (Condado Plaza in Puerto Rico) and the transfers. The three days in the hotel were fab but they cant be blamed for the cruise. The cruise – good bits: The weather was excellent (Antigua was wet but all else was either fine or brilliant). The ship is very clean and the balcony cabin was very good indeed (9252) and (eventually) looked after well by our steward. The bed was probably one of the best we have had at sea. We were disappointed to encounter a policy of no turn down/chocolates/flowers/ships handbook etc but soon felt that this was not an unusual facet of the RCI experience. The boarding process was slick (we were ‘invited’ to tip the guys putting our cases into the on boarding cages…we declined) and having done all the paperwork ahead of our arrival we were on board pretty quickly. The offloading process was very very quick. 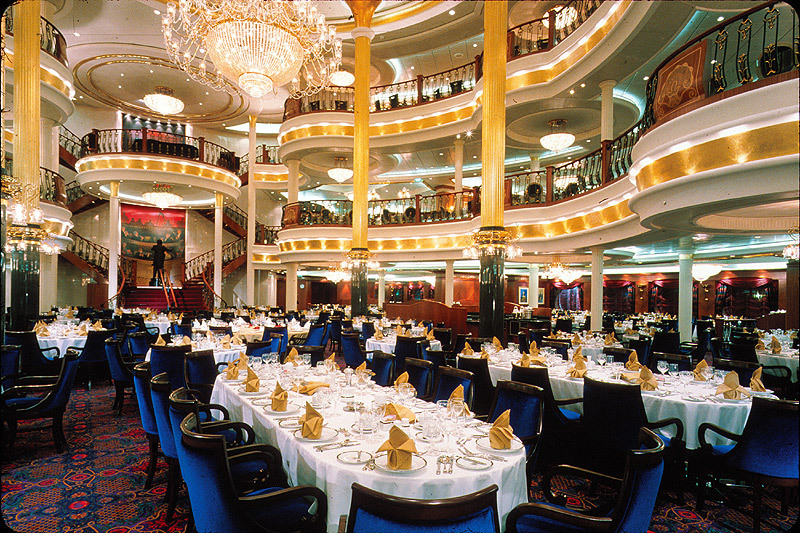 The Italian restaurant on Deck 11 is good but the portion sizes are American so you can’t walk after the meal. That said, the steak was stupendous. Service is attentive but very familiar and casual. The front pool area was comfortable and sheltered, although the poolside service was very poor. 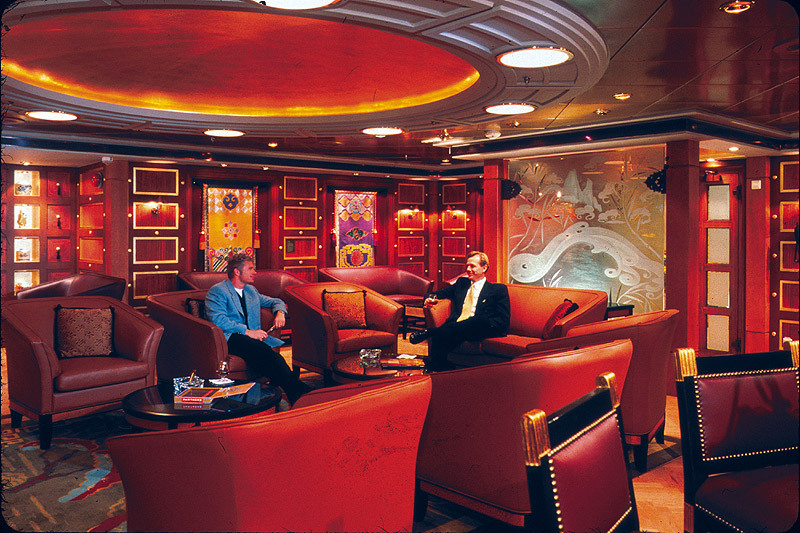 The seats and loungers are designed for very large people and are therefore quite robust and spacious. All the ports we visited: St Thomas, St Croix – our first time; Antigua, St Lucia and Grenada were fantastic. My wife was really taken by St Thomas’, which is very clean, organised and friendly. The not so good bits From the moment we arrived in the restaurant on our first evening we were shocked at (a) how poor the food was to be for the whole week and (b) how poor the restaurant service was going to be. The first chat with our waiter was a sales pitch by him of the benefits of drinks packages (do the maths – they don’t work) and I had to get quite shirty with him about not wishing to continue the conversation. Then, for some reason, he needed our first names and promptly started using them with a familiarity, which doesn’t sit well with us. The first starter, that was slopped, up had a hair in it and the main course was dry and unpalatable. We left and couldn’t bring ourselves to return despite several calls from the restaurant manager to whom we had complained. The ‘Royal promenade’ is not our cup of tea. It is a bit like a modern shopping centre (think Bluewater/Lakeside/Meadowhall/Trafford) and becomes a bit of a scrum after about 7:30. 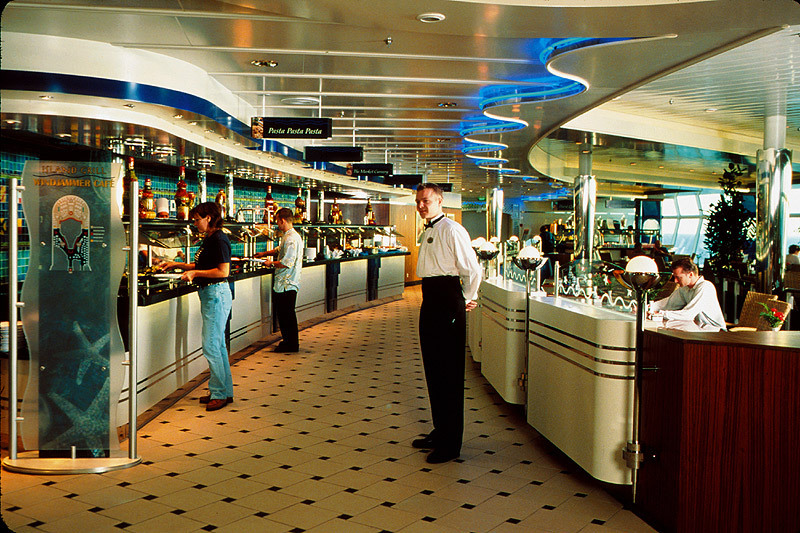 Talking of Tea – there is none in the room, so regular trips to the American café on Deck 5 were required. The main pool area rapidly attracts the sort of folk who would be at home at Butlins, and the very Disneyland like entertainments crew whips loutish behaviour, up most days. You cannot escape the sheer noise of this on any of the upper decks and if you want upper deck sunshine you will need to put up with it. We found a couple of places where it was palatable. There are virtually no sunbeds or chairs on the massive (and impressive) prom deck which is a real shame. 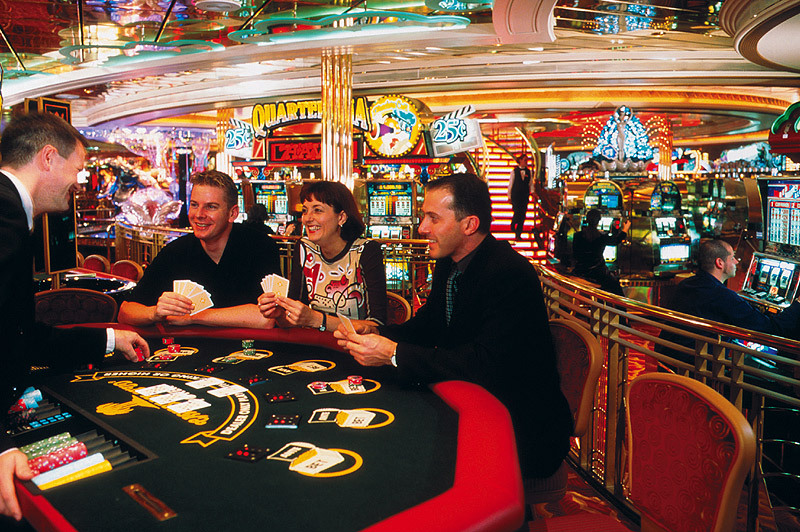 One whole side of the prom deck (Starboard) is given over to smokers, as is the starboard side of the main pool deck (11) and the internal (and massive) Casino (the smell climbs up a stairway from the Casino to the Royal Promenade) and you either love it or hate it. The entertainment was dreadful. We went to 5 shows and walked out of three. The last one (bearing in mind this is the last show to make an impression…) had an Argentine juggler who kept dropping his props. That said the resident orchestra is first class as was the solo Spanish guitarist. The cabin safe broke down three times – this had never happened to us before Having had 2 days of generally poor service, we stopped our auto-gratuities and started to get the gratuities added to specific purchases taken off if we weren’t happy with the service provided. Things did improve a little. We ended up tipping our steward but the general F&B service remained at a low level and we declined to tip – the first time we have ever done this. Although we expected the ship to be mostly American and had steeled ourselves for a lot of ‘whooping’ and loudness, we were surprised by the sheer quantity of kids on board. I’m sure others will have different views but, by and large, the ones we encountered were rude, loud and demanding. There were quite a few kids with attitude (init) who seemed ok wiv cruising around da ship wiv der music playin loud an der baseball caps da wrong way round and der pants hangin on their arses – init (whatever) but they didn’t do it for us. Eventually, we managed to find a fairly quiet corner of the ship (a reading room on deck 14) for an hour or so to catch up on reading. Other than that we forced ourselves to be jollied along by the enthusiastic and loud entertainments team and joined in with so much of the over the top frivolities that we could stomach. We enjoyed being in the sun. We enjoyed the company of some nice people and we enjoyed the comfort of the ship but we were not great fans of most of the on board behaviour and were disappointed by the poor service and poor quality of the food. It was a good trial to see if we could like this style of cruising. We don’t. We go back to P&O who, despite their faults do get most things about right for us so long as we cruise away from the school holidays. Summary: Thanks to the staff in the dinning areas they were fantastic. Ship very clean, but don't go into the casino if your a none smoker, they are letting smoker's have a free run there. Wearing evening gowns for the formal nights are great until you go into the casino, then you come out stinking like a old ash tray. Sorry Adventure you got this very wrong won't be sailing with you again. Entertainment was utter rubbish. Can't book any decent trip until your on the ship, got our passes wrong, didn't open drinks package until we complained, but did get a refund unlike our taxi fare's that we had to sort out as no transfers were booked for us, as promised, left high and dry, at a hotel out in the middle of no where. Summary: We had a fantastic 14 night cruise out of Southampton on 12 October. The previous week the ship had an outbreak of Noro Virus and we were informed of delayed boarding and a choice of another cruise if we wanted. We managed quite well and were aboard at 15.15, so not too late. 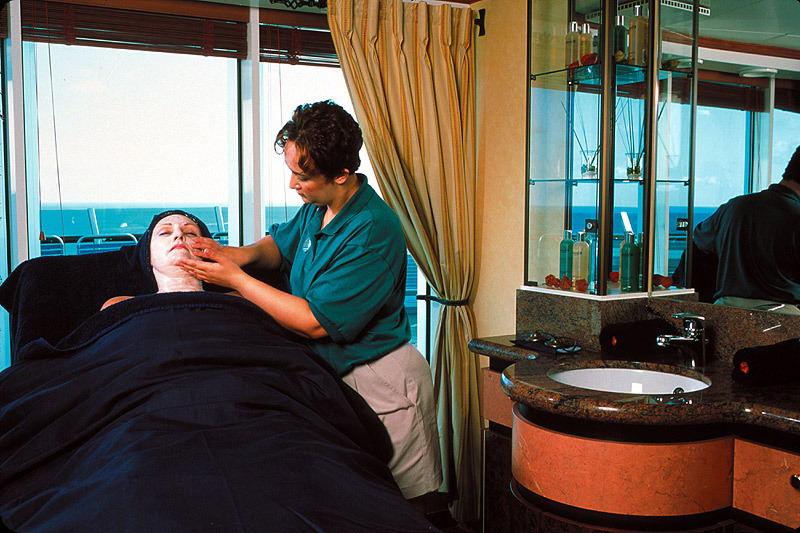 Although all the staterooms were not ready because of the deep cleaning going on it didn't affect our day. Apart from extra hygiene measures around the ship and having very helpful extra staff to serve us in the windjammer we had no criticism of the ship at all. The weather at all of our ports was absolutely fabulous and the destinations chosen were fantastic. A great time for us both. Summary: Had read all the reviews good and bad, but after a twelve day cruise in the Med from Southhampton 17th August to 29th August, my family and I have nothing but good memories of our cruise, the stateroom was clean [balcony room], the food was very good and all the shows excellent. 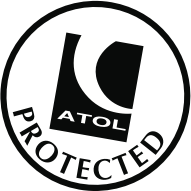 All the staff were very friendly and helpful, boarding and dissembarkation very smooth. Will go again.